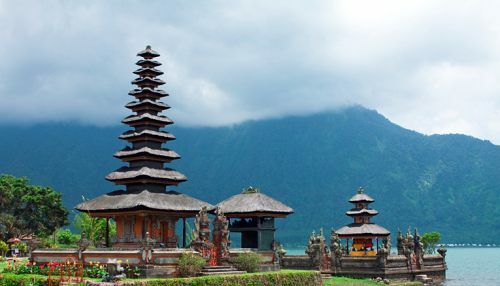 There are what appear to be some mistake fares popping up involving flights from Vancouver to Mataram, Indonesia and then Bali to Vancouver, for just $568 CAD including taxes. The flights are with China Southern and are lengthy flights, but the price is so low, it lends to being a mistake fare. With mistake fares, proceed with caution, and wait at least 24-48 hours to be sure that the ticket is actually issued by the airline before booking anything else. Keep the expectations low, as there's a high probability of the ticket not being issued. This still leaves you with needing to get from Mataram (Lombok LOP airport) to Bali (Denpasar DPS airport), which costs about $25 to $42 CAD. 2. Click through from Kayak to CheapoAir or FlightHub or Vayama or whichever third party site is claiming to have this price. CheapoAir has definitely shown mistake prices in the past that turned out not to be bookable. vancouver, yvr, flight deals, asia, china southern, southeast asia, bali, denpasar, dps, indonesia, mataram, lop and lombok. 11 Responses to "Vancouver to Mataram, Indonesia, and then Bali to Vancouver - $568 CAD roundtrip including taxes"
And Kayak shows Nov 14-Dec 23 return flight Bali to Melbourne, if you were inclined to mix in a trip to Australia. I'm tempted. This deal can be booked back to YYC as well! departing YVR though.. I have booked with Cheapoair. I got a voicemail from cheapoair to confirm my payment details. Trying to get through to them now. I'll post again with another update. Got my flights confirmed today!